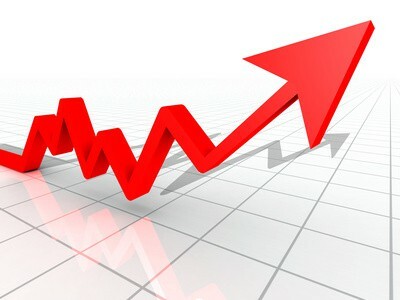 Conventional Loan Limits increased in 2019 for the 3rd year in a row. Starting January 1, 2019 the Conventional Loan limit for Maricopa County is $484,350. This is also the new 2019 maximum Conventional loan limit for all single family 1 unit homes in non-high cost areas of the United states. In addition, 2019 VA loan limits increased due to VA loan limits following FHFA’s Conforming Maximum loan limits. 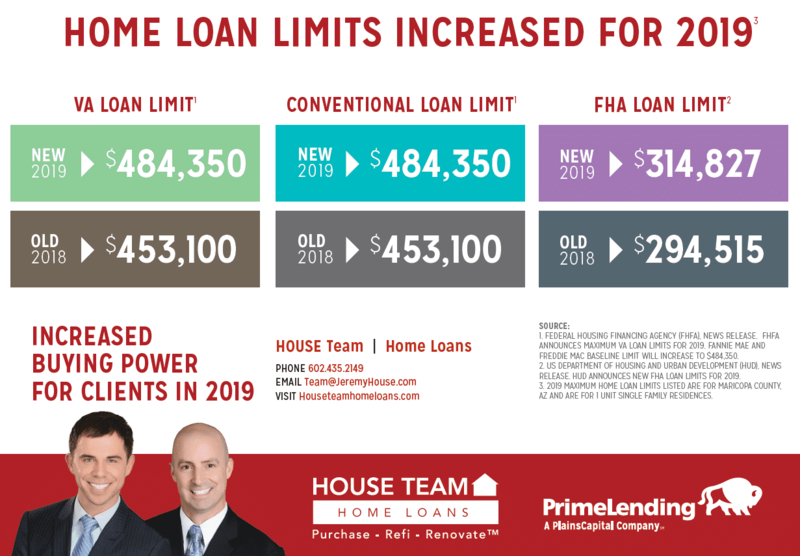 Lastly, FHA announced their 2019 loan limit increase which too is predicated on FHFA’s Conforming limits. 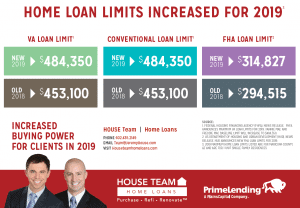 There are 4 different 2019 Maximum Conventional loan limits for single family homes. While that sounds complex, the most commonly applied max is the $484,350. 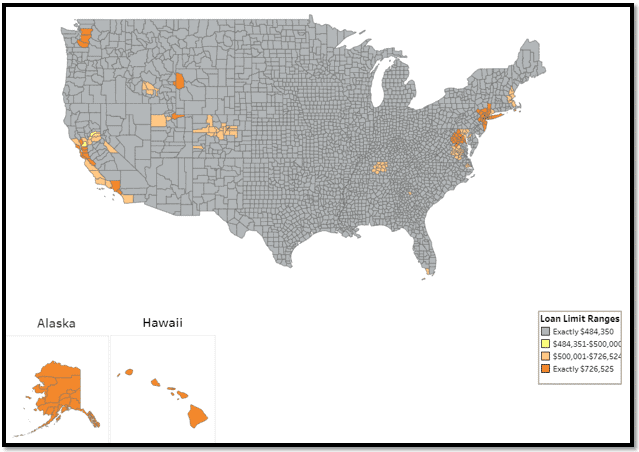 This maximum represents the 2019 Maximum Conventional loan limit in all non-high cost areas of the United states for 1 unit single family homes. The 2019 Conventional Loan Limit increase to $484,350 marks just the 3rd Conventional loan limit hike since 2006. Interestingly, the 1st hike took place 2 years ago in 2017. The new “trend” is great news due to Conventional financing offering several low down payment options (as low a 3%). In addition, Conventional loan guidelines are often more streamlined than JUMBO loan guidelines (JUMBO home loan is a loan greater than the max Conventional Loan Limit for a given area).